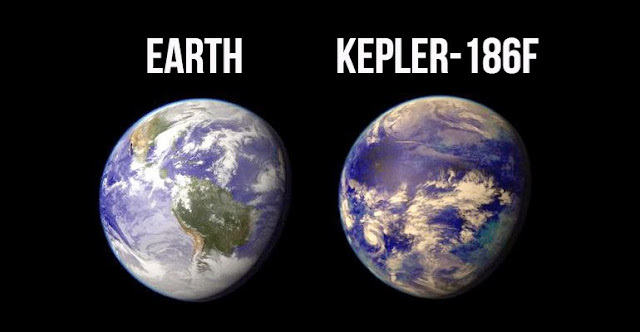 The neighboring star to Kepler-186f has half the mass and size as our solar system’s Sun and only gets one-third of the energy that we get from our Sun. Kepler-186f circles its star once every 130 days. What? Huh???? Who we killing and looting...Who WE??? Idiot!!! Contact me dare ya!! NASA isn't the one polluting our planet and killing people. Direct your blame at the people who are really responsible. Wasting money? Where do you think the technology for the computer/phone/tablet you're writing on came from? What about the satellites allowing the communication part. NASA developed plastics which are used in medical procedures to save lives. There is a large number of innovations you use every day that wouldn't exist if it weren't for us "wasting" that money. Anonymous is from Keplar. Clearly they don't want us ever coming there and ruining their planet too. Nobody wants a PC Cultural Marxist incorrect diatribe against significant scientific discoveries and proofs. Look at the life that manages to exist in the extreme zones on earth and then imagine the greater # of planets that would be capable of sustaining some form of life. So what, we trash this place and think we'll just find another? Get it RIGHT here first, or else we take our inner and outer filth with us! Besides, it won't be "our" future, but of those with ridiculously mega bucks. We'll do all the literally dirty work for them, but we'll be left behind in that dirt. До цієї планети летіти 500 років, при умові, що це буде швидкість світла! Може щось цікавіше знайдете??? I think this dude has read so many conspiracy medias that his conspiracies have conspiracies on their conspiracies, and so much so that he probably won't any longer trust the foil in the hat! What's the point, lets all die! Ha ha, that shud be a song or poem. Create peace, repair earth, then we will advance. 1/3 the energy? Not livable for humans. Who says it has to be earth-like for life to exist? Maybe just "life as we know it". These comments make me want to take the first shuttle to Kepler-186. Despite the negative responses to one another's comments. This is an astonishing find. 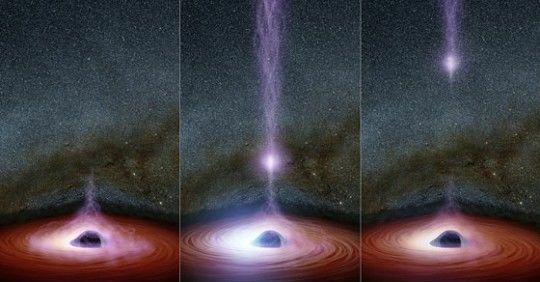 Although the planet in question is so far away that the likelihood of reaching it, without first mastering the worm hole theory,is out of reach. With an open mind we have to realize that life elsewhere in the vast infinity of space is not only possible but highly likely. Fantastic discovery. Can I PLEASE proofread your astronomical articles before you post them? And maybe the terrible code that made me scroll extra fast to get to the comments? GALAXIES do NOT have a Goldilocks zone. Third paragraph should say "we emphasize" not "we emphasis"
You can also edit someone else's quotes for grammar and clarity, as long as you still cite the source. "that mimic that of Earth" should be "that mimic those of Earth" or something which doesn't use "that" twice. The caption above the video is nearly impossible to understand. Are you talking about the star or the planet? I'm just saying, grammar can affect your credibility. I'll proofread because I love science and especially astronomy, but I won't do much for free. Seriously, I'm not trying to offend anyone. The point is that I love science and I would like to see it be taken seriously by the reader. I could at least place the comment section above the infinitely loading links to other pages. I'm disappointed in the spelling and language used in the article. The language in the quote should either say "...we emphasize..." or "...with emphasis..." but cannot stand as posted. And the text just before the video refers to the neighboring star but the language suggests [it] only gets 1/3 of the energy we get from our sun. It gets energy from where? 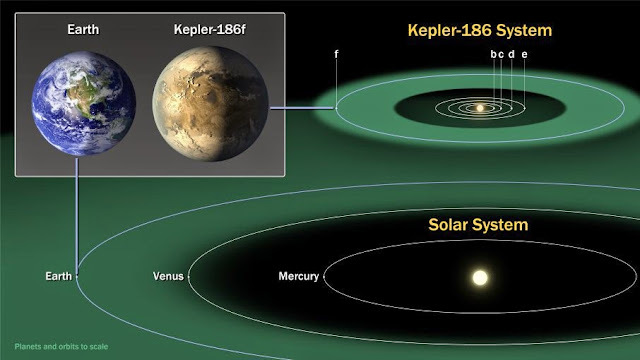 Presumably the message intends to say that the planet (Kepler-186f) is the body receiving that energy - not the neighboring star - but that is NOT what the text actually says. This sort of error is not a typ-o and is, instead, just confused writing. Posting a scientific announcement, let alone any analysis, should undergo better proofreading and consideration. That's just my take on it. I just saw Ozaku's comments on the same issues. Yes - I agree. These things matter. Thank goodness. I was feeling so alone for so many centuries... I was never comfortable with this particular brand of humanity. Now that I know my home world has been identified, I am comforted and will now prepare to leave this Earth for the one where I'm originally from. Good bye and good luck, Earth People.